Today's Guest post is by Lish Dorset! 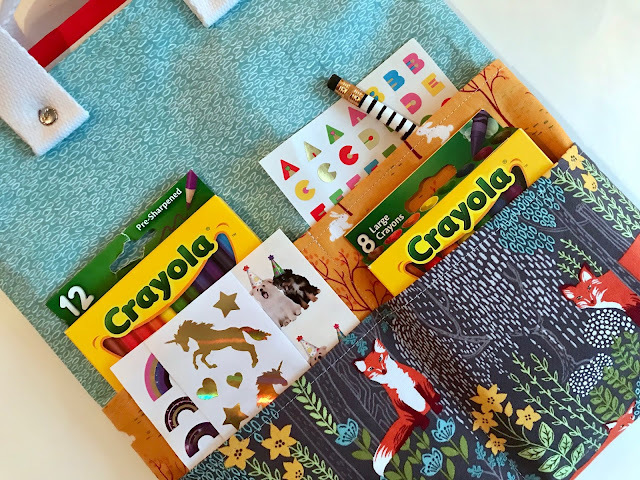 If you’ve got little makers in your life, or are looking to create a useful gift for a junior artist on your holiday gift list this year, look to the “Into the Woods” collection for inspiration to create an on-the-go art tote that makers of all ages will want to carry with them on their next outing. Sized for a larger pad of paper inside, storage for must-have artist supplies (sticker sheets, boxes of crayons, already-sharpened colored pencils) on the front, and a large back pocket to store works in progress, this tote will help keep kids and grown-ups alike busy throughout the holiday season - and beyond. 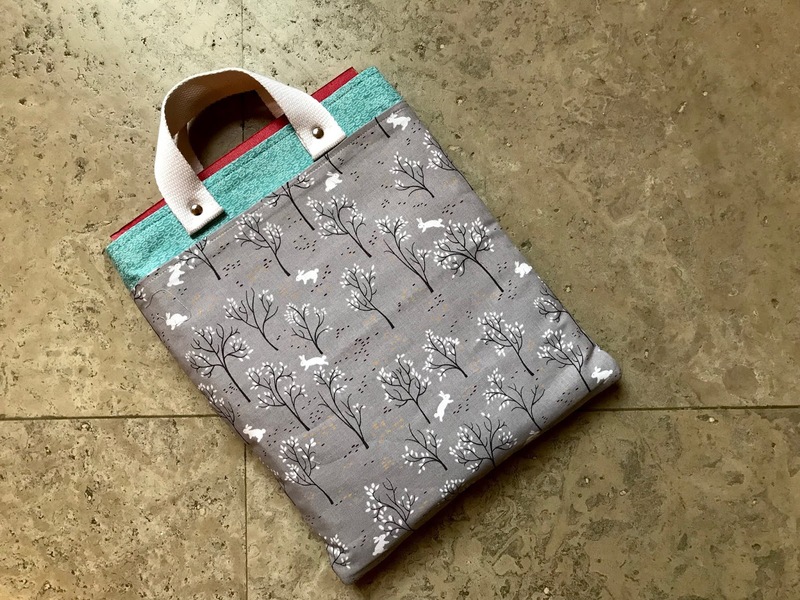 ● 5 different prints (½ yards) from “Into the Woods” - this tote features DC7727-DUSK-D (front pocket - small), DC7729-FOGX-D (back pocket), DC7729-OCHR-D (front pocket - large), DC7730-STON-D (bag lining), and DC7732-MIST-D (bag outer). To begin, cut out all of your fabrics, being careful to note the directional prints. Fuse the Pellon 808 to the bag outer. Next, create the bag’s pockets. Take each pair of pockets and place right sides together. Sew along one of the short sides; press the seams open. Fold the fabrics so that wrong sides now face one another. Top stitch along the seam of each of the three pockets. Back Pocket: Place the back pocket on one of the outer bag panels, lining up the bottom raw edges. 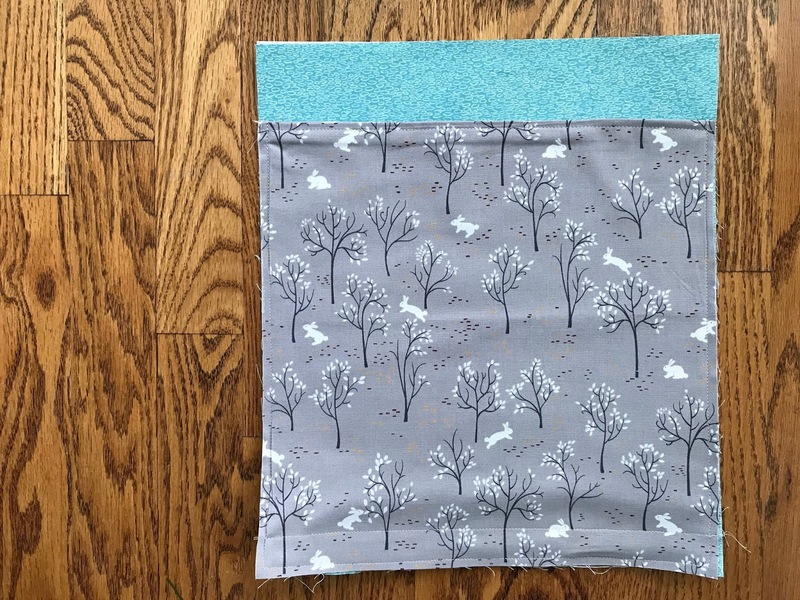 Baste the pocket into place along sides and bottoms with a ¼” seam. Create a line 1” from the bottom of the bag and mark horizontally. Sew across this line to help prevent small items from falling into the seam of the bag. Set aside. Front Pockets: As you did for the back pocket, place the front large pocket on the other outer bag panel and pin into place. Place the small front pocket on top of this and pin. Baste all three pieces into place using a ¼” seam. From one side of the bag, find the center of your bag (5 ¾”) and note with your marking tool. Draw a straight line down at this measurement; top stitch on this line to create four individual front pockets. Finish the front of the bag by creating a line 1” from the bottom of the bag and marking horizontally. Sew across this line. Once the pockets are complete, saw the outer bag panels together with a ½” seam. Turn the shell right side out. Repeat for the lining panels, leaving a large opening at the bottom of the pieces for turning the bag. Place the bag shell into the lining panels, right sides together. Matching up your side seams, pin or clip the raw edges together. Sew around the top of the bag. Turn the bag inside out, clipping and pushing out the corners, and sew the lining shut. Push the lining into the bag and press. Top stitch one last time around the top of the bag. 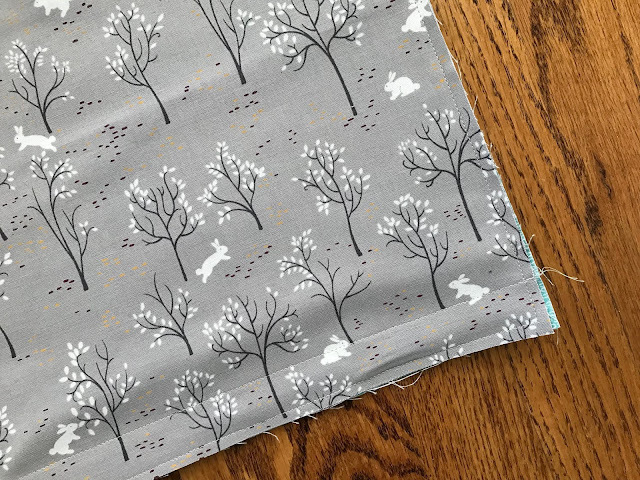 Be sure to comment on the post below to enter for a chance to win a FQ bundle from us at Michael Miller Fabrics! I'd love to win a bundle. The fabric is really nice. This looks like a great gift for artsy little ones! (I love the fabrics you chose too) now I need to go get supplies to make these. It is gorgeous. What a great idea. Cute and practical! Nice use of fabric! Cute and practical! Nice use of the theme fabric! 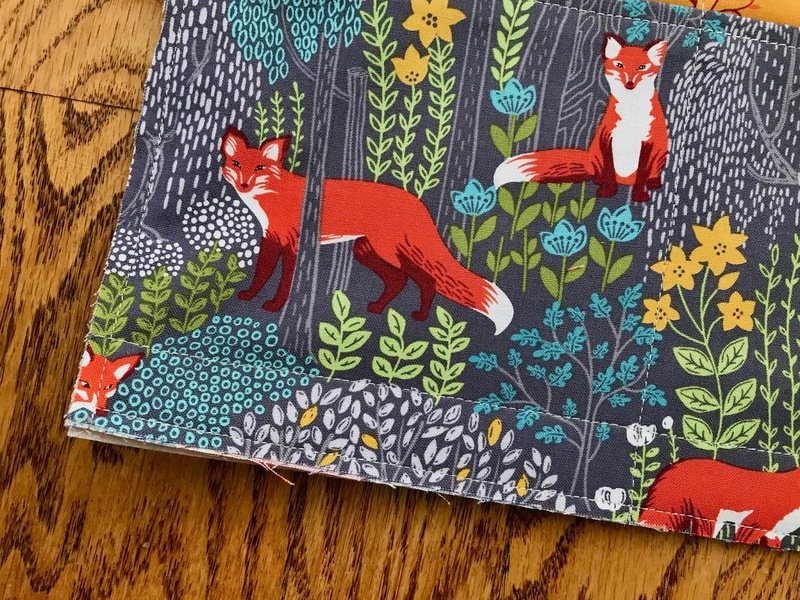 this is so cute and the fox fabric is over the top adorable! Love this. Will have to try it. Thanks! I have a granddaughter that would love this! I love all those pockets. What a great gift to make! Such a nice tutorial! 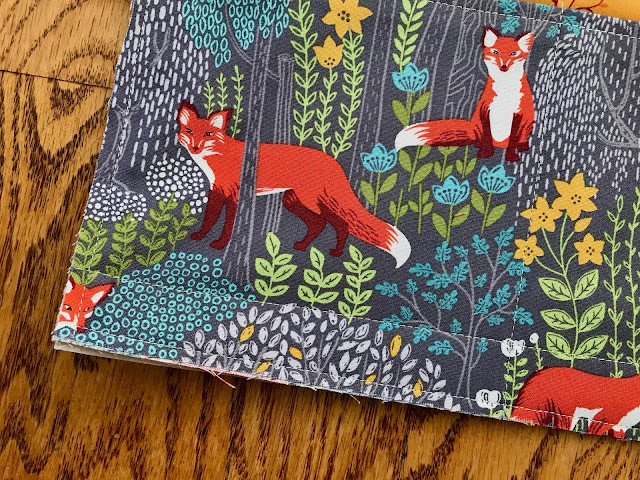 Look very good with the foxes! Such an adorable bag. Thanks for the chance to win. Looks like its a lot easier then my current project embroidering reading pillows. Quicker too. Thanks for pattern. Great kids bag! I love that all is contained and easy to find. Thank you for sharing. 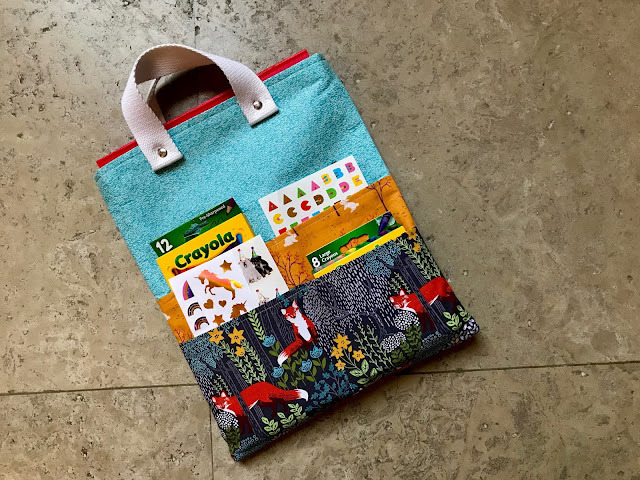 i love this tote idea, thanks for sharing. Thanks for the pattern it was just what I needed for a little ones gift!! Wow, what a wonderful tutorial for a fabulous gift project. I love this little bag! Thanks for the sewing instructions. what a darling idea! thanks for sharing! What a superb choice of fabrics for this project! 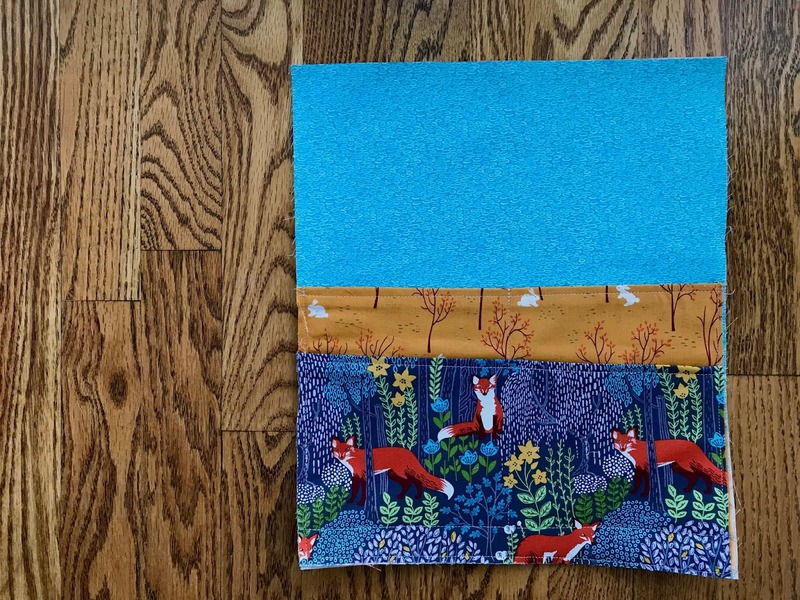 Really like the fox fabric you used! Great idea for making a quick last minute gift. Your tutorial makes it look easy. Thanks for sharing. This is a great project. I love all those pockets. How sensible to have the pockets on the outside. That way it is easy to check that nothing has been left behind when out and about. This is a great make! I want to give this bag a try! This is so timely for me. My daughter was married the Saturday after Thanksgiving so my Christmas sewing is only beginning. Definitely need quick sew projects. My four year old grand will love this. Thank you. This is such a perfect gift for the little people on my list! What fun it will be to choose fabric for each tote bag and items to fill each pocket! Thanks so much for the tutorial! What an adorable bag! I wish this post had happened in November for a special birthday gift. I'm pinning for next year! Clever & useful tote for our young artists. Such a cute idea for a small child. Great selection of fabrics too! Thank for sharing. What a great gift idea for kids to start the new year on the right foot! What a great idea. I love the fabric. "I LIKE MIKE" Brand Ambassador Program!